Diamonds, platinum, tourbillon, chronograph and perpetual calendars – it’s just part of the list of characteristics that can belong to the most rare and expensive items in the world of watchmaking. 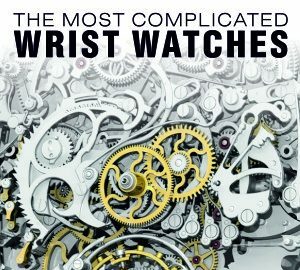 We present a selection of 10 of the most expensive watches with complicated mechanisms. 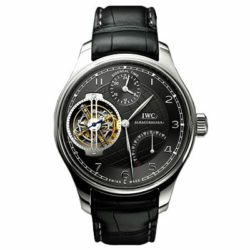 IWC brand has created the most complicated watch with unique mechanism. Creators have spent more than 10 years to get this amazing watch in result. So, the world saw the complex, really fantastic mechanism of IWC Calibre 94900, that consists of 500 the smallest details in total. Chronometer IWC Portuguese Siderale Scafusia can be created only by individual order. As president Georges Kern tells, for IWC this model has become a real test of technical skills. 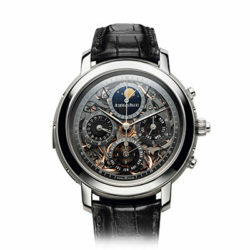 This brand has never issued such highly complex watches. In translation from Greek Hybris Mechanica means “challenge to the gods.” One can hardly imagine a more vivid name for an unusual triptych created by Jaeger-LeCoultre: Set of three watches has an incredible number of complications: 55 (!). 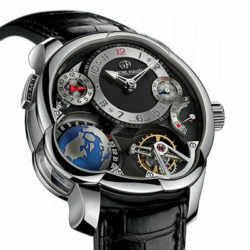 Hybris Mechanica 55 collection is presented by such models as Hybris Mechanica à Grande Sonnerie, Hybris Mechanica Gyrotourbillon and Hybris Mechanica à Triptyque. The classic elegance of the six-figure sum looks very concise and simple. This is a real toy for the big boys, because the clock includes three popular casino games – blackjack, roulette and craps. Blackjack is hidden under the sapphire glass on the dial, which shows small windows within covered with rhodium. 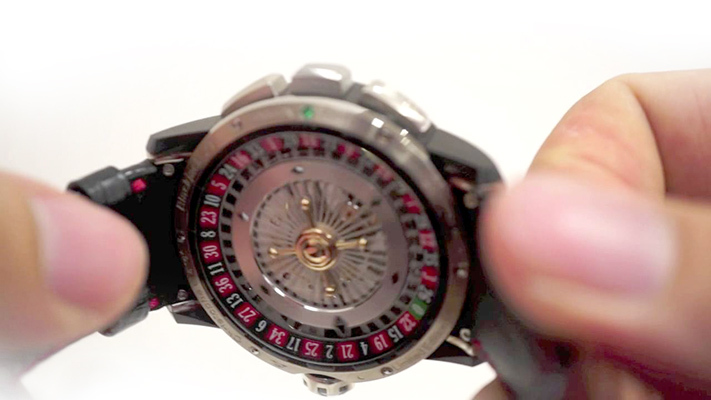 Bones are hidden on the side of the watch, while the roulette can be found at the bottom of the watch. The strap is made of crocodile skin, and the case is available in a choice of white or pink gold, black or gray titanium alloy. A small globe is located on the dial. It can be seen from all sides, because it is attached at only one point – the South Pole. Globe makes one complete turnover every 24 hours anticlockwise. Looking at the 24-hour indicator of the day / night, it is possible to determine easily the time of day in different parts of the world. Scale of a second time zone is located around the globe, which is easily adjusted while the button in the area of 10 hours. These watches are truly worth to be chosen. 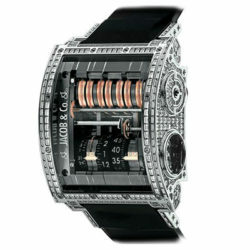 Dial – made of white gold encrusted with 204 diamonds weighing 5.46 carats. Body – made of white gold, also diamond-encrusted , of there are 294 on the clasp including the diamonds, total weight of 30.06 carats. For centuries, instruments for measuring time, served as a kind of milestones in their time. 2000 years ago in ancient Greece, astronomers detected the position of the sun, moon and planets in the sky with the help of the so-called Antikythera Mechanism. 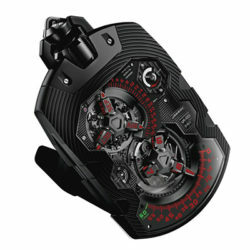 But in the XVIII century marine chronometer H4, created by the British master John Harrison, guaranteed the safety of mariners and showed tham an accurate way.And now in the XXI century company Urwerk offers its own instrument for measuring time named UR-1001 Zeit Device, which is translated from the English-German as “a device for measuring time, UR-1001” and the device that will not be unnoticed in the history of watchmaking art . 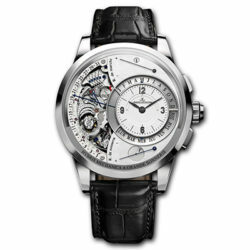 Watch Triple Complications Reference 5208 – is the first wristwatch by Patek Philippe, which are equipped with three complications: minute repeater, chronograph and perpetual calendar with apertures on the dial. It is also the first watch of Patek Grand Complication with balance spring and escapement Spiromax Pulsomax – two silicon components developed by Patek Philippe. 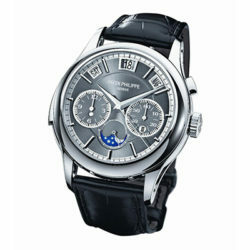 The company first presented the Grande Complication about 20 years ago. Among the main characteristics should be noted perpetual calendar with moon phases and chronograph with automatic movement. The model is equipped with a Swiss mechanism FM 3480 QPST, which consists of 1483 parts with thirty-six complications, twenty-five of which are located on the dial. 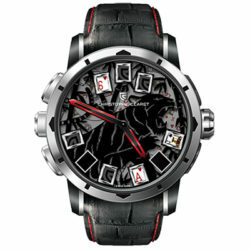 Watches are equipped with nineteen arrows. 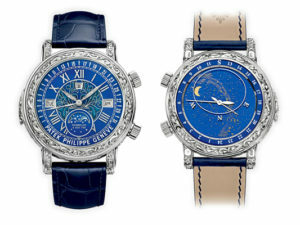 Key features: a thousand years Gregorian calendar, repeaters Grande and Petite Sonnerie. Aeternitas Mega 4 are made of white gold. Single copies are encrusted with ruby baguette or are covered with PVD. This model is not the most expensive model of the brand, but it has deservedly received the title of the most complicated one. 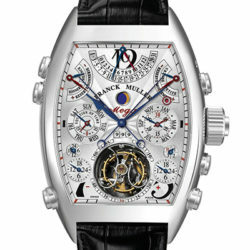 Watches cost $ 1.3 million and have two dials, perpetual calendar, retrograde date, time zone and moon phase indicator.